Remember when Netflix was just a company that mailed people DVDs of movies they wanted to watch as opposed to having to drive to the video-store? That seems like it was forever ago in this era of streaming original shows by Netflix from our computers and video-game consoles, doesn't it? Whereas once Netflix's online division was relatively smaller, it now--I believe I've read--makes up the mass majority of its income. Netflix still has movies you can stream, but now its all about watching various T.V. seasons over just a couple of days ("binge watching") and looking forward to original programming done by Netflix you can only view via them--or buying a DVD of one of their series, although that just seems ironic. All those years ago would anyone have predicted Netflix would be making award-winning programs with a big following such as "Orange is the New Black" and "House of Cards"? Would people have thought that against all odds "Arrested Development" would be brought back--albeit in a form that admittedly disappointed many? Sure, not everything Netflix tries to put out is a pure gold (it seems everyone hates "Hemlock Grove" but as I haven't watched it I feel unqualified to comment), but enough stuff gets them popular buzz that there are people who buy a subscription just to see the original programming, and then enjoy other movies and television series as an afterthought. 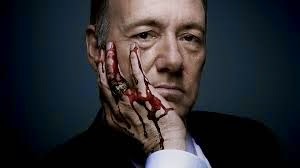 Kevin Spacey, almost always enjoyable in whatever he acts in. When you get legitimately pretty-big names such as Kevin Spacey giving you stellar performances, or quirky and clever shows such as "Orange is the New Black", you're going to draw fans, and Netflix has done so in droves, even despite that PR debacle they had a few years back (Remember Qwikster? Netflix would prefer you didn't). Netflix now is popular enough that when they announced a small-ish price increase recently people didn't freak-out too much, mainly because it'll be happening slowly, at first just impacting new subscribers and then after a bit over a year everyone else who already has had a Netflix subscription. Pretty much the only thing posing a major threat to Netflix right now is the ever-looming possibility of the death of Net Neutrality. Net Neutrality, for those who don't know what it is, basically is something we have had since the birth of the internet. For example, if you have internet by Verizon, and go to a website, you will get that website as fast as someone who has internet by AT&T--assuming you pay to utilize the same about of data with either service. Should Net Neutrality die a terrible death, now a website could make a deal with AT&T so that their content loads faster with that company, regardless of how much data you normally purchase. Then, Verizon could make a deal with another company and before you know it the internet is separated into a fast-lane and slow-lane where the rich get lightning-fast video-streaming and the less wealthy have a simple website load as fast as if they were on a 56k Modem AKA the old-fashioned phone-lines. 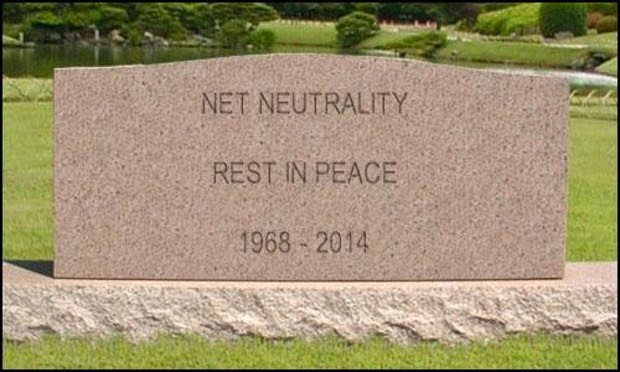 If the death of Net Neutrality sounds scary, then I'm glad you're upset, because you should be terrified. Recent court rulings have it so that while we have Net Neutrality at this moment, that won't necessarily be the case for long. Netflix is already doing some "Deals with the Devil" that have immediate-but-minor repercussions in anticipation of Net Neutrality going the way of the Dodo bird, and if the FCC lets corporations start slicing up the internet into various speeds things are probably gonna get really ugly. Enjoy speedy streaming of Netflix shows like this while you can. We truly need Net Neutrality because without it something like what Netflix has built with their online streaming would have been all but impossible to establish--that goes for Hulu (if someone does the paid option) and the increasing streaming options via Amazon Prime too. Netflix has some quality original programming, assorted television shows, and movies. I want to be able to enjoy streaming them without my internet provider getting to screw me over. So yeah, hooray for Netflix and mad props to Net Neutrality--let's hope that both continue to live long and happy lives.